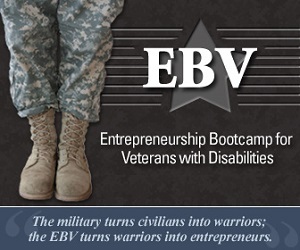 The Entrepreneurship Bootcamp for Veterans with Disabilities (EBV), is a program executed by the Institute for Veterans and Military Families (IVMF) at Syracuse University in cooperative agreement with the US Small Business Administration (SBA). This year, EBV proudly celebrates its 10-Year Anniversary, and is delivered at ten universities nationwide. It’s more than 1,300 graduates have revenues totaling over $196 million and hire on average four employees (many of whom are fellow veterans). Of these graduates, 68% of the businesses started are still in operation today. 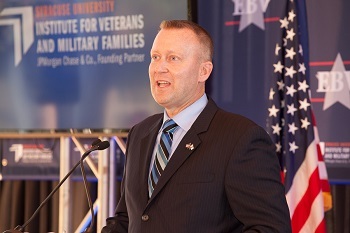 Although EBV didn’t start that way, it began as a social venture of Dr. J. Michael Haynie, an Air Force veteran of 14 years (1992-2006), who in 2006 joined the Martin J. Whitman School of Management at Syracuse University as a professor of entrepreneurship. Dr. Haynie knew through his research that veterans were starting businesses at a much higher rate than civilians. For example, after WWII, over 48% started business, and individuals with a disability were twice as likely to start a businesses (http://www.dol.gov/odep/pubs/misc/entrepre.htm) . He realized the faculty of Whitman were teaching, training and inspiring entrepreneurs every day, so why not bring this opportunity of business ownership to the community that most deserved to live the American dream — veterans and their families. Dr. Haynie developed the curriculum to include an online portion, followed by a nine-day residency on campus, with follow up resources and support. He wanted the EBV program to be offered at no cost to post 9/11 service connected disabled veterans with a passion for entrepreneurship. He presented his proposal to the Dean of the Whitman School. Dean Melvin T. Stith, a Vietnam veteran himself, immediately gave Dr. Haynie the approval to launch this program at Syracuse University. Now came the difficult part — raising the funds needed to support the effort, as well as recruiting veterans to participate. Dr. Haynie found supporters among Whitman alumni, who financially supported EBV; the Whitman faculty, who volunteered to teach; and business students, who helped to execute the program. 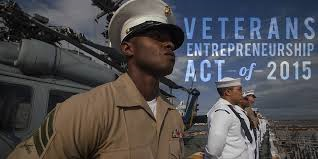 When President Obama signed an act to encourage and equip veterans who want to start their own small businesses, the goal was to help veterans navigate financial barriers by waiving the upfront guarantee fee for veterans applying for 7(a) express loans through the Small Business Administration (SBA), thus helping recently discharged service members and other veterans with opportunities to start new businesses. With 21 million veterans living in the United States, the unemployment rate among this population is substantially higher than the national average. Because of this challenging statistic, more veterans are exploring self-employment opportunities. 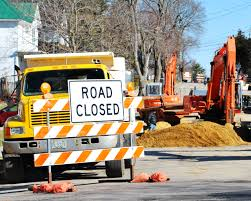 The bill, introduced by House Small Business Committee Chairman Steve Chabot (R-OH), has received praise from lenders and veterans alike. According to the Small Business Administration, an estimated 10% of all small businesses across the US are veteran-owned. According to the U.S. Bureau of Labor Statistics (BLS), the unemployment rate in America has dropped to 5.5%, the lowest that it has been since 2008. The unemployment rate among the Post-9/11 era generation of Veterans is at 6.5%, among the highest in the nation. 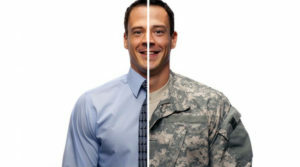 Many government and private initiatives have started to hire more Veterans. But the answer to eliminating Veteran unemployment may not be solved by finding jobs for Vets, but rather by allowing them to create jobs themselves. Veterans are 44% more likely than their non-veteran peers to start their own business, according to the BLS. Many have speculated that years spent following orders drives Veterans to want to call their own shots in their second careers. Others have guessed that after years of deployments and frequent PCS moves, Veterans want to create their own businesses in order to lay down roots for themselves and their families in a particular region. While there may be some substance to these hypotheses, the truth of the matter is that Veterans become entrepreneurs because it utilizes their knowledge and skills that were enhanced through their military experience. Service members, especially those in leadership positions, wear many hats, much like business owners do. And much like successful military leadership, successful business ownership requires the ability to delegate, the discipline to stick to a strategy, and the fortitude to inspire yourself and others to continue in the face of death or failure.The willingness to work hard doesn’t hurt. But in battle and in business, guts and glory aren’t always enough to accomplish your mission. 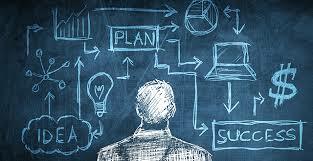 Successful campaigns and successful business require proper training and knowledge of the tactics that will be used. That is why programs such as the Entrepreneurial Bootcamp for Veterans with Disabilities (EBV) are a necessary first step for Veterans wishing to start their own companies. The EBV program is a partnership between several of the country’s top business schools and the U.S. Small Business Administration. The schools offer free courses in entrepreneurship and business management to selected Veterans and military spouses. The aim of the EBV program is to open the door to economic opportunity for Veterans and their families by developing their competencies in creating and sustaining an entrepreneurial venture. No one should go into battle unprepared, and they shouldn’t enter into an entrepreneurial venture unprepared either. Make sure that you have the training that you need to start your business and then utilize VAMBOA to continue learning and growing as a Veteran business owner.